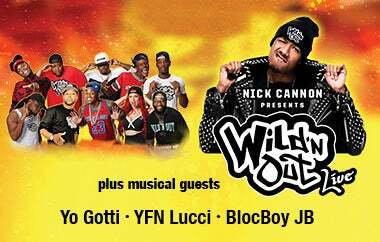 Based on the hugely successful TV Series created and hosted by Nick Cannon, AEG Presents announces the first full length tour, Nick Cannon Presents: Wild ‘N Out Live with a stop at Wells Fargo Center on Thursday, August 23. Tickets go on sale on Friday, June 15 at 10 a.m. exclusively through WellsFargoCenterPhilly.com, by phone at 1-800-298-4200, or in person at the Wells Fargo Center box office. The tour will feature stand up performances by fan favorite “Wild ‘N Out” cast members, live interaction with the audience as they participate in Wild ‘N Out’s most popular game segments with Cannon and cast, and a live music performance from today’s most popular hip hop stars.